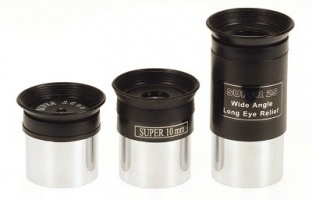 Skywatcher Super MA Eyepieces 1.25"
The modified achromat series of eyepieces offer a good standard of performance in a very affordable package. Designed for telescopes with mid-range to long f/ratio, these oculars have features usually found only in more expensive designs. 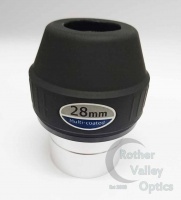 High quality 28mm 2" LET eyepiece. This item is brand new but no box is included as it has been split from an Evostar 80 ED DS Pro kit. 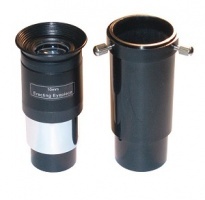 Revelation 6mm Plossl Eyepiece 1.25"
The Revelation 6.0mm Plossl Eyepiece 1.25" is a high power option and a useful low-cost Planetary and Lunar eyepiece for shorter focal length telescopes. 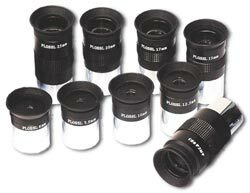 Revelation 9mm Plossl Eyepiece 1.25"
The Revelation 9.0mm Plossl Eyepiece 1.25" is an amazing value planetary eyepiece, giving a very reasonable 52 degree apparent field of view and 6mm of eyerelief. Provides an upright, correctly orientated image for terrestrial observations. Suitable for use with Newtonian Reflector Telescopes or Refractor telescopes. If you are looking to move up to a higher quality eyepiece the Omni series provides more enhanced features in a wider selection of focal lengths. 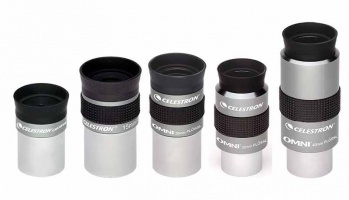 Celestron designed this series with the finer points in mind so you, the user, can benefit from the features that make this series unique.